Eli Mittler received his early education in the public schools of Marthasville, MO, and graduated from high school there in 1927. He began teaching in Warren County rural schools while attending college himself and continued until he had earned an Associate in Arts (1931) at Central Wesleyan College followed by a Bachelor of Science in Education (1937) at Central Missouri State Teachers College. He later added a Master of Arts in Education (1945) and Doctor of Education (1956) from the University of Missouri. After earning his BSE, Mittler went to New Haven, MO for a year as Principal of the elementary school and instructor in industrial arts at the high school. From 1939 to 1945, he was Warren County Superintendent of Schools, then for one year was Superintendent at Warrenton. In 1946 he became Director of In-Service Training at Northeast Missouri State Teachers College. The next year, his duties were expanded and he was named Head of the Division of Extension Services and Director of the Bureau of Placements, a position he held until 1969. At the request of the Board of Regents, Dr Mittler stepped into the presidency of the college while a search was conducted to fill the vacation left by the sudden resignation of F Clark Elkins. He served for seven months, from July 1, 1969 until the following February when Charles J McClain took office. At that time, Mittler was named Vice President and Graduate Dean. 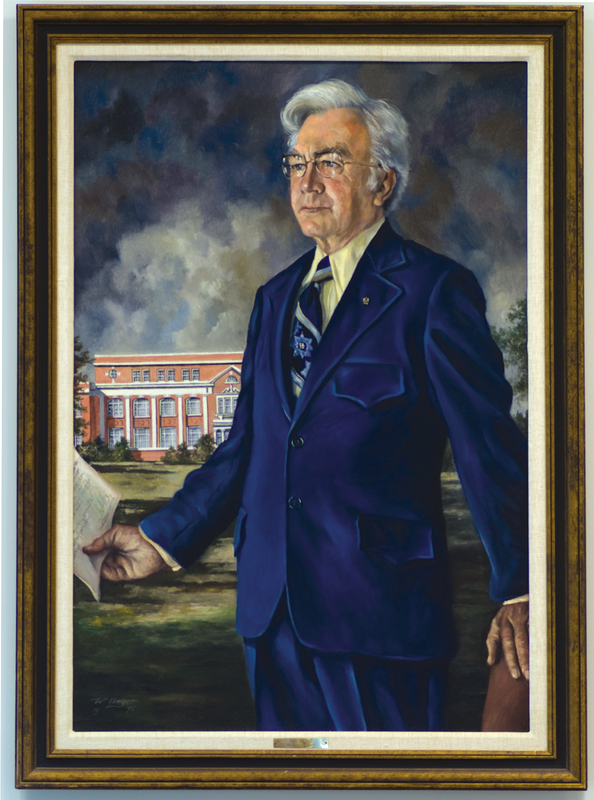 He was awarded the title of President Emeritus when he retired July 1975, and his portrait was added to those of his predecessors in the Presidents Gallery. The Northeast Missouri Education Association also honored him at retirement by naming a cabin for him at the Bunker Hill Camp Grounds. He had served the organization as Executive Secretary for many years. Eli and fellow teacher Charlotte Belle West (1909-1995) were married November 24, 1932. After spending most of her career in public schools, Charlotte joined the Social Science faculty at Northeast in 1963 and retired as Assistant Professor in 1974. The couple's only son, Ted Warren, also became a teacher. Eli Frank Mittler, the son of Charls C and Emma (Fortman) Mittler, was born September 9, 1909 in Marthasville, MO. He died March 3, 1983 at his retirement home in Warrenton and was buried at Marthasville Cemetery. "Board Names Eli F. Mittler Interim President; Assumed Position July 1”. Nemoscope 23:4 (Summer 1969). “Dr. Eli F. Mittler Dies; Services Set for Sunday”. Kirksville Daily Express. April 3, 1983. Who’s Who in Education, 1967-68. 23rd ed. Who’s Who in Education, Inc: Hattiesburg, 1968.